Let’s be honest for a moment. Email is not dead. You use it every day, don’t you? So do your friends, so do I, so do my friends. Email is alive and kicking! With open rates of up to 47% and click rates of up to 26%, email marketing holds its position as one of the best strategies you can apply to turn leads into sales. To send awesome emails though, you firstly need to have an email list to send them to. This is where Opt-In Hound jumps in. Since its very conception, Opt-In Hound was build with the goal of providing you easy to use email opt-in tools to grow your mailing list in a beautiful and simple way. But growing an email list is not always that simple. You have to remember that each new email address that enters your mailing list belongs to someone that saw value in your content or in a promotion that you are running and wants to hear from you in the future. In most cases people don’t give their email address just because you say please, they need to be incentivised one way or another. Let’s say for example that you are a food or a travel blogger and you’ve invested time into writing a recipe or travel tips ebook that you want to monetise. Chances are you don’t have the resources that Apple or Samsung have to promote a product and to have immediate sales, but you can leverage your resources to obtain both sales and email subscribers. You can create hype around the ebook, before even releasing it. Writing about the book might make some people curious, but offering a free sample, let’s say the first chapter, will make people start talking about it. This can be a great incentive from which you can start your email list building campaign and to spice it up a bit, you can provide the ebook as a special limited time offer, which will increase the demand for it, leading to more email subscribers and more hype. Now that you have in place an offering, let’s see exactly what tools you can use to inform your readers about the promotion, facilitate their email subscription and deliver the free sample of the book to them. To do all of these we will use Opt-In Hound Basic or Pro, as it is easy and quick to set up. First things first, readers need to be informed about the special limited offer. For this let’s create a new limited promotion pop-up opt-in with the following general settings. The promotion will run from the 1st of August to the 15th. Now let’s write the copy for the promotion and for the success message. We also want to show the pop-up at the right time and in the right places. For this examples we are going to display the opt-in on all posts and also on the homepage, but we will only trigger it after the user has scrolled more than 50% of the webpage’s height, just to be less intrusive. I will not go into styling the opt-in. Each website has its own unique design and you have the options to set custom colors for each element of the opt-in in order to match your websites layout, but to keep things simple for this example I used the default styling options, which look pretty good out of the box. You almost have everything set up. 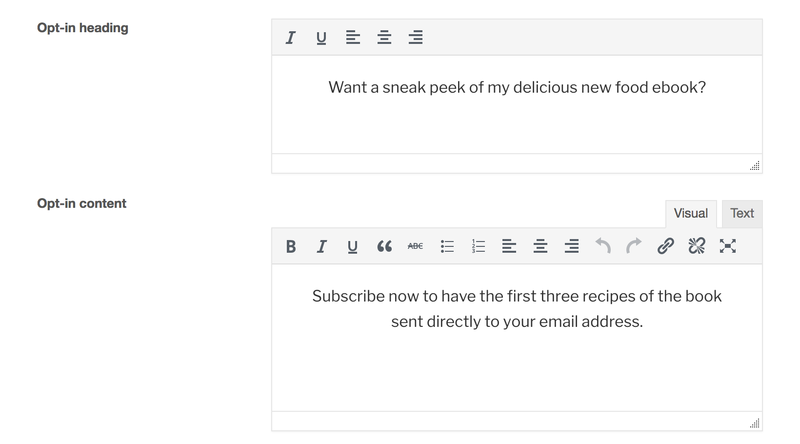 Your readers will see the opt-in and have the ability to subscribe. The only thing remaining is to send your new subscribers the free ebook sample. 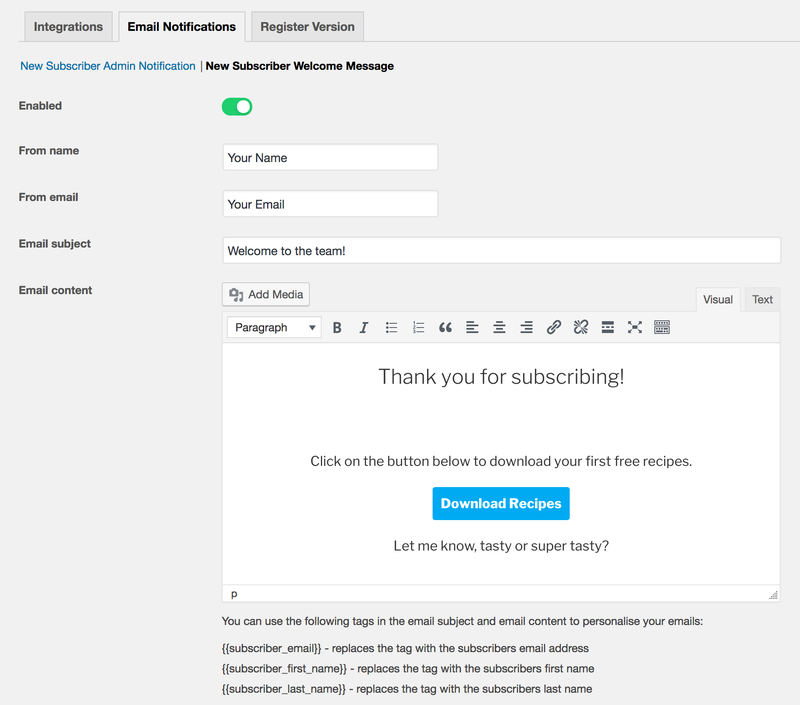 To do this we will activate the New Subscriber Welcome Email functionality from Opt-In Hound’s settings page. That is it! You now have a limited time email list building campaign all set up with Opt-In Hound, in which you offer for free a piece of your work in exchange for the readers email address, with the goal of growing your email list and also to promote your work. I’m looking forward to hearing your thoughts about this, so please leave a comment below.